BALTIMORE, Feb. 26, 2019 /PRNewswire/ -- The Stronach Group, owners of the legendary Preakness Stakes and Pimlico Race Course, announced today that Norwegian superstar, Kygo, rap artist, Logic, and GRAMMY Award winning producer and DJ, Diplo, will perform at the 2019 InfieldFest Concert at the 144th Preakness on Saturday, May 18, 2019, along with an all-star lineup of celebrated artists that includes Juice WRLD, FISHER and Frank Walker. InfieldFest is a full-day music festival that takes place amid one of the most anticipated and attended annual sporting events, the Preakness Stakes. Past performers include Post Malone, Sam Hunt and The Chainsmokers, to name a few. This year the InfieldFest stage will be shared by acclaimed performing artists and DJ's in a robust festival line-up to attract a wide range of both horse racing fans and music fans from across the region. InfieldFest expects to attract 20,000 fans on race day, promising to deliver an entertainment experience like no other. 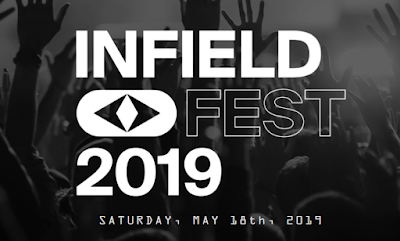 Tickets can be purchased online at InfieldFest.com and start at $59 for general admission. Upgrades can be added to your ticket for access to all InfieldFest party areas and bottomless drinks. Comfort VIP ($199) provides exclusive VIP no-wait entryways, private cash bars, access to premium standing-room and viewing areas and executive bathrooms. "This year's InfieldFest represents the evolution of our entertainment program at The Stronach Group, and carries out our mission to deliver world-class entertainment experiences with outstanding talent," said Jimmy Vargas, Executive Vice President, of Entertainment at The Stronach Group. "This year's InfieldFest lineup brings the excitement of the race track to the stage and encourages a new generation of race goers to experience The Preakness Stakes"
Norwegian DJ, producer and songwriter Kygo holds the world record for fastest 1 billion streams on Spotify and has been listed on DJ Magazine's Top 100 DJ's List for four years in a row. He made history at the 2016 Rio Olympics, when he became the first house music producer to perform at an Olympics closing ceremony. Also set to take the InfieldFest stage is Maryland native and three-time GRAMMY nominated rap artist, Logic, who shot to stardom with a series of critically acclaimed mixtapes, and whose latest album, Everybody, debuted at #1 on the Billboard 200 Chart. Global superstar and first-time InfieldFest performer, Diplo, has worked with some of today's most influential artists including Beyoncé, Justin Bieber and The Weeknd, and has toured the world solo as Diplo, as one half of Jack Ü with Skrillex and as one third of Major Lazer. Rising star on the Billboard Canadian charts Toronto Native, Frank Walker will return to InfieldFest once again with his upbeat dance tunes, house music and vocal blends. Walker was named an iHeart Radio Future Star and a Billboard Rising Star and earned international acclaim for his mainstage performances in Europe, Asia and North America while supporting Kygo on his "Kids in Love Tour". Following the success of the tour Walker released his #1 hit song "Heartbreak Back" which is a mainstay on Apple Music's A-List Dance playlist and Spotify's Dance Hits. Walker will be joined by breakout rapper, Juice WRLD praised for his singles "Lucid Dreams" and "All Girls Are the Same." Juice WRLD's debut studio album "Goodbye & Good Riddance" earned him the number four spot on the Billboard 200 list. Australian House and Techno producer FISHER will make his InfieldFest debut performing his unique mixes and original sounds. The producer earned international attention for his breakout song "Losing It," which reached #1 on the ARIA Club Tracks chart and earned him his first spot on the American charts. One of the biggest multi-entertainment festivals in the region, this year's iteration will feature elevated food and beverage concessions, trackside views of Pimlico Race Course, and betting lounges to help the next generation of fans to be part of all of the action. Club Glow, the region's foremost electronic dance music experts, will host a VIP Lounge experience for VIP ticket-holders. 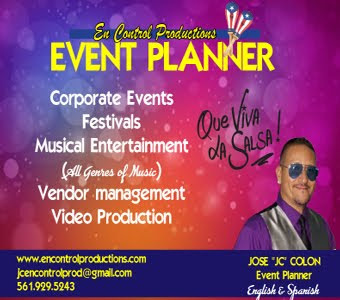 Established in 1999, Club Glow is the longest running electronic dance music promotion company in DC. The company also owns and operates Echostage, voted the #1 Club in the US and #4 in the world featuring regular A-listers, Tiësto, Armin van Buuren, Skrillex and David Guetta. As part of InfieldFest, Echostage will be hosting a VIP area, featuring an elevated viewing platform, bottle service and private restroom facilities giving fans an option for a superior festival experience.